Wirral Wobblers in the Press Again! 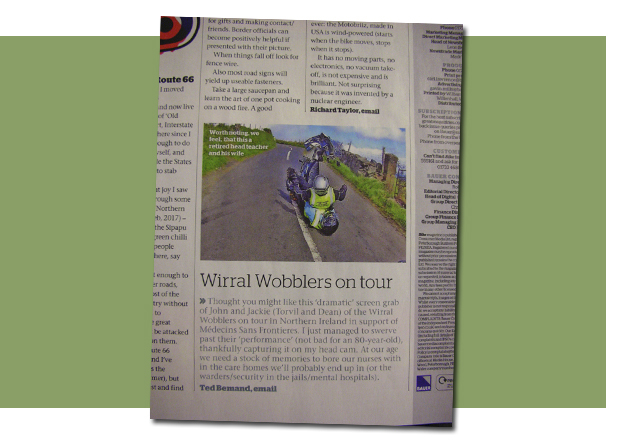 This month’s Bike magazine features the latest publicity stunt from our intrepid Wirral Wobblers’ Section! Anything to get in the news! Previous PostPrevious Fruitcake Frolics in Staffordshire! Next PostNext Devon Autocyclists say “Be Mine Valleytine”! !